Working with different currencies can be quite confusing, time-consuming and also expensive. 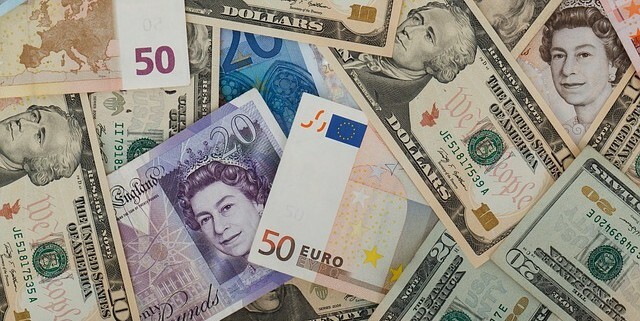 Currency conversion is a major concern for expatriates and business travelers around the world. We offer a free currency conversion tool for expats and people living or traveling abroad. You can also connect with OFX to obtain a quote and start converting currency at rates that should be better than what your bank is charging. Check Out Their Current Converter Now. DISCLAIMER: This website is for informational purposes only and does not constitute a complete description of our investment services or performance. This website is in no way a solicitation or offer to sell securities or investment advisory services except, where applicable, in states or provinces or countries where we are registered or where an exemption or exclusion from such registration exists. Information throughout this site, whether stock quotes, charts, articles, or any other statement or statements regarding market or other financial information, is obtained from sources which we, and our suppliers believe reliable, but we do not warrant or guarantee the timeliness or accuracy of this information. Nothing on this website should be interpreted to state or imply that past results are an indication of future performance. Neither we or our information providers shall be liable for any errors or inaccuracies, regardless of cause, or the lack of timeliness of, or for any delay or interruption in the transmission thereof to the user. THERE ARE NO WARRANTIES, EXPRESSED OR IMPLIED, AS TO ACCURACY, COMPLETENESS, OR RESULTS OBTAINED FROM ANY INFORMATION POSTED ON THIS OR ANY ‘LINKED’ WEBSITE.” Our company, TFG Global Insurance Solutions Ltd., is paid a small referral fee for any transactions that you make. Please consult with your tax and legal representative to ensure that you are not violating any tax, legal or foreign exchange rules or regulations. TFG Global does not accept any responsibility for your foreign exchange transactions. Taxation advice should be sought in your country of residence or domicile. Some products may not be legally available to residents of certain countries and jurisdictions. Whilst every effort is made to ensure that the information within this site is accurate, no liability can be accepted for any errors or any loss incurred as a result. You are strongly advised to seek independent financial advice before making any investment decision. Also, please make sure you are complying with international and local currency and transaction laws as we take no responsibility for any financial transactions or currency transactions made through OFX and its various entities.